This website is the brain child of Patric Lüthi (54y, Marathon-PB 2:40:12, owner of Athena Ltd. in Zürich) and was built from the beginning of 2006 with the help of top-runners. Since the beginning of 2009 Irina Mikitenko is providing her knowledge and experience to VICSYSTEM. VICSYSTEM has, with thousands of members all over the world, become a leading provider for training plans. 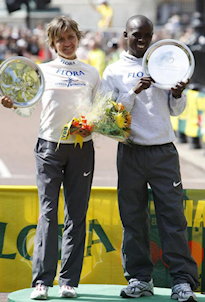 Since the beginning of 2006 VICSYSTEM has offered training plans for distances from 5'000m onward in cooperation with top-runners. These plans are suitable for all experience levels from beginners to top-runners. and they adapt themselves dynamically to the changing performance capabilities of the individual. With this comprehensive training plan you will also regularly receive newsletters, in which the newest training theory and further training topics will be discussed. In the future, Irina Mikitenko will take part in the training camps and running weeks of VICSYSTEM as a leading coach, so that she can pass her experience directly to our members. VICSYSTEM's first fine-tuning was carried out in the highlands of Eldoret in Kenya. 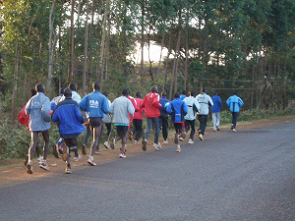 There the various training camps of Kenyan top-runners are located. 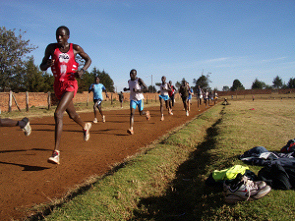 Well known runners like Bernard Lagat, Peter Rono, Wilfred Bungei and Martin Lel were born in this area. 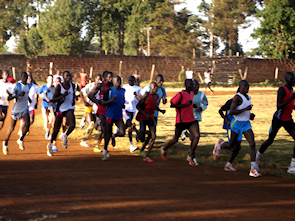 10 to 15 minutes warm up from our lodging to the 400m track in Kapsabet. The runners starting a 5x2'000m interval workout. The surface doesn't always have to be perfect, as long as you achieve a training effect. 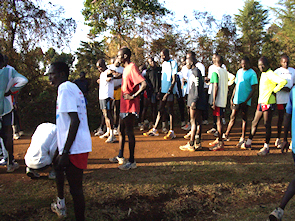 Young runners out of villages nearby mix themselves with elite runners. 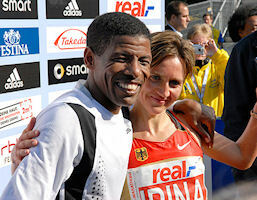 These runners do the 5x2000m at a higher pace than 3:00min/km. The trainingplan for the toprunners in the camp. Good to have VICSYSTEM! So please enjoy the comfort of an up to date and dynamic trainingplan! 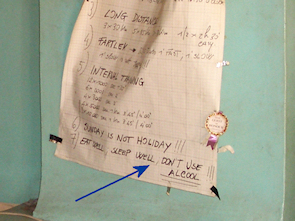 The recommandations sunday is not a holiday, eat well, sleep well, don't use alcool help you anyway!